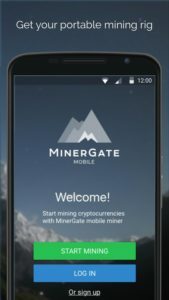 MinerGate a site that will allow you with a minimum of knowledge to start in the mining of cryptocurrency (including bitcoin) in a simple and easy way. However everything will obviously depend on the power of your computer (processor and graphics card). Which means that you will not be able to get into the mining of any cryptographic currency. Including bitcoin which requires more computing power to make a real profit. Installation and commissioning MinerGate client program ? Withdrawal in his wallet form MinerGate ? Mining with the MinerGate cloud ? Witch coin i can mine with MinerGate? 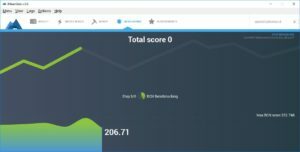 MinerGate is a clear and intuitive cryptocurrency mining site that will allow you to mine most of the cryptocurrency known to date. Indeed bitcoin is not the only known cryptocurrency. You should know that there are dozens. But each has its own particularity and popularity more or less. To get an idea of ​​the most popular cryptographic currencies. I advise you to consult this ranking to get an idea of ​​what is interesting to mine. MinerGate is available on MAC, WINDOWS, LINUX and mobile. With MinerGate you will be able to download a client program. That once downloaded will allow you to start mining with the processor of your computer or your graphics card. You can also mine directly in your browser by going to the section “Browser Mining”. But I strongly advise you to download the mining program which will give you much better results in terms of results. Now and if it's not done yet I would ask you to click on the following link to proceed to your registration to continue reading this article. After downloading, installing and starting the mining program. I advise you to perform a benchmark that corresponds to a test of the computing power of your computer. As a result, the more computing power you get the more you will be able to get good returns and earn more money. At the end of the test you will get a performance score (accompanied by a funny comment). Then list of currencies that we advise you to undermine to be effective. For example it is much more interesting to mine monero or bytecoin. Especially if one does not have a big configuration. Then you can convert into bitcoin that mine bitcoin directly. Moreover, as I write this article the monero is rather up. So I advise you to start undermining this rather interesting cryptocurrency that will earn you your first money. Next to each cryptocurrency you will see action buttons to start mining with the choice between processor and graphics card or both at the same time. However for the graphics card know that undermining will slow down your computer. Somewhat so avoid doing anything else so as not to overload your computer work. You will be able to select the number of cores to put to work and of course the more hearts you put into work. The more your computer will give you output, however, avoid running all the hearts as this will cause the computer to overheat which is not very good for the longevity of your components in the long run! Also know that to undermine with your graphics card in this case an NVIDIA graphics card (I have not tried with an ATI). You will need to activate the CUDA function that will allow you to use processors whose most NVIDIA graphics cards are now equipped. To activate the CUDA function, you must go to the site in question in order to download the application, install it and then restart your computer. You will then normally have the opportunity to mine with your graphics card. This will allow you to increase your power of hash / second and thus to obtain better returns. Finally, know that by using the software you will unlock distinctions according to certain objectives to be fulfilled such as leaving your computer for 24 hours. Have you ever lost your PC? It's easy. You only need to provide the address of your wallet in the wallet section of the software. Then make the necessary withdrawal for some transfer fees. The transfer of your earnings to your wallet mode simply the address of the latter and the method of sending. Depending on the transfer method selected Cheap or fast, the transfer may be more or less time to monitor. Also be aware that each cryptocurrency has a portfolio of its own so do not use the address of a bitcoin wallet to recover for example the ethereum! It is the first pool that provides the service of the merged mining. This means that while mining on our pool. You can mine different parts simultaneously, without lowering the hash rate for the major piece. This site requires you to sign up for their page and download a minor GUI or miner console to mine these cryptocurrencies. For the BTC and LTC mines here. Support is available: (support@minergate.com) you can contact them if you have any problems. MinerGate is the ideal site for anyone who starts in real mining and I would advise him without further ado to register to make his own idea and start mining his first cryptocurrency. The mining software is very easy to install. And also to use which, will avoid the traditional mining at the command line. As well as tedious settings reserved for the more experienced miners. Moreover, if you are happy owner of a configuration type pc gamer you should easily find your happiness. In terms of performance and make money easily without forcing you! Previous PostPrevious [Test] What is Brave?